The Rev. 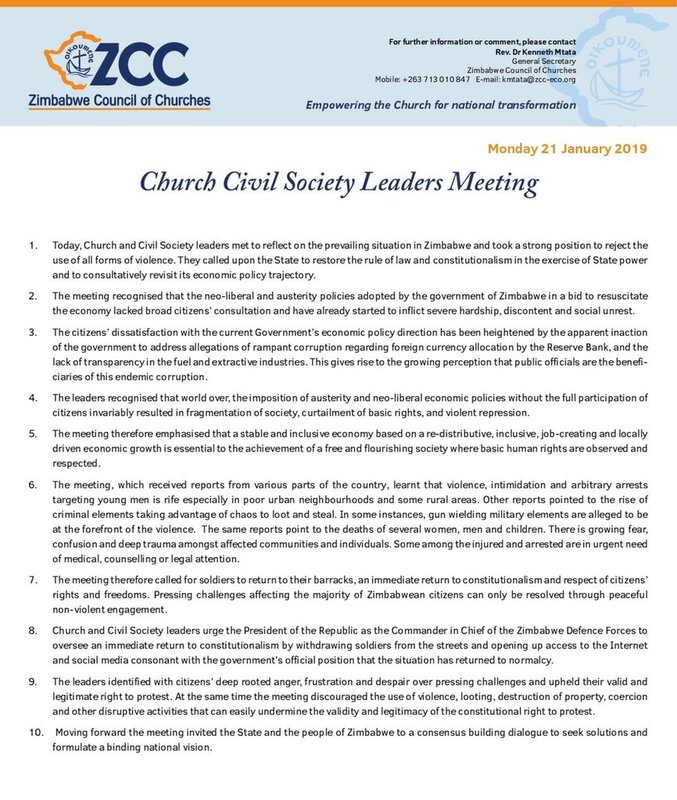 Kenneth Mtata implores church leaders in Zimbabwe to “see, judge and act” to help combat extremism in the country following clashes over fuel price hikes that left 12 people dead and hundreds injured. Mtata, who leads the Zimbabwe Council of Churches, spoke during a two-day workshop in Harare to help address the crisis. Photo by Taurai Emmanuel Maforo, UMNS. Fadzai Traquino, a lawyer from Women and Law in Southern Africa, speaks to church leaders during the workshop. “The church in the midst of disagreements must be defenders of the rights of citizens,” she said. Photo by Taurai Emmanuel Maforo, UMNS.